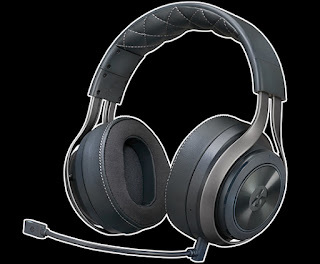 LucidSound new LS41 Wireless Surround Headset, a premium surround sound, multi-format headset. Available now via Amazon and other leading gaming retailers, the LS41 features wireless audio when used with PlayStation 4 and Xbox One, and can also be used with Nintendo Switch and other mobile devices via the 3.5mm wired connection. With a premium build quality usually reserved for audiophile grade headsets, the LS41 has been expertly tuned by audio engineers and offers a clear leap in quality when compared to other gaming headsets. Featuring a host of meaningful upgrades over the previous LS40, the all-new LS41 uses a best-in-class 2.4GHz wireless connection, delivering uncompressed audio when used with modern consoles. 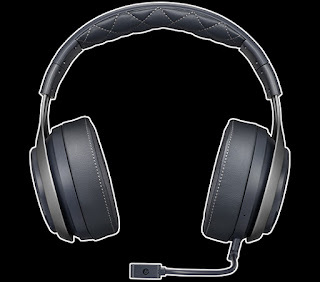 In addition, the LS41 features rich DTS Headphone:X 7.1 Surround Sound allowing players to accurately identify placement of team mates and enemies. The high-capacity rechargeable battery provides up to 20 hours of use between charges and the upgraded drivers deliver superior amplification for remarkably accurate audio without distortion. The ear cups feature the signature LucidSound control scheme, but now sport an oval design, better fitting the ear and providing a more comfortable experience along with greater noise isolation.